After an extremely short stay in Tokyo, we headed to Saga Prefecture, located in the north-western part of Kyushu island, for a couple of days. Our itinerary there turned out to be so full of all kinds of activities and different places to visit that it would hardly be possible to describe all of them in less than several articles ;). This is why I keep this post limited to only some of my favorites. As the whole trip was dedicated to Japanese handicraft, design and cuisine, we started off pretty boldly by visiting the former Takatori estate in Karatsu. Koreyoshi Takatori was a wealthy coal magnate in the Meiji period and his residence delights visitors with its sublime decor based on unique mix of the Eastern and Western design. Throughout this dwelling, an attentive visitor will find the delicate and refined reliefs inspired by nature. Many paintings, especially on the doors, are stunningly beautiful and we will even find some Art Nouveau styled decorations. This one-of-a-kind house includes also a Noh theater stage - the only one still existing in a private residence. 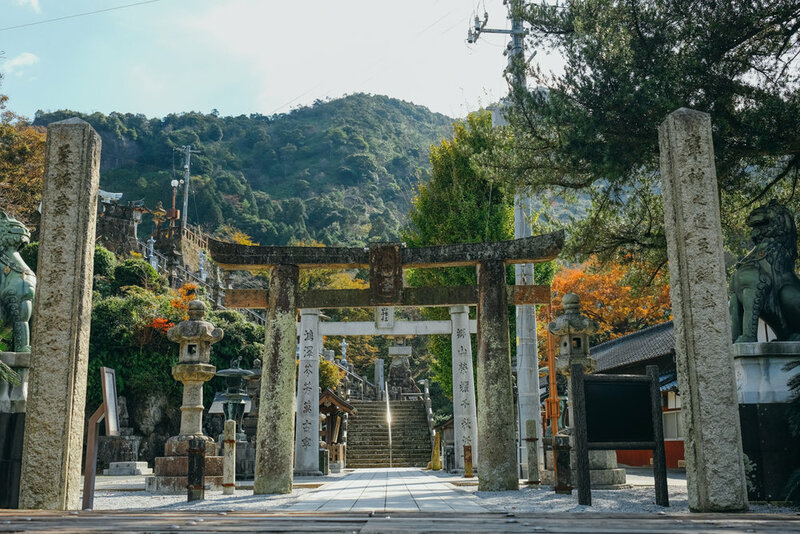 The highlight of our discovery of Kyushu was definitely wandering around Okawachiyama village, located within the city of Imari. It is a true must-see for any traveler going to Saga Prefecture. This charming village, surrounded by green mountains, invites to walk around and discover its secrets. Okawachiyama is known to be the place where Japanese porcelain production began, during the reign of the powerful Nabeshima clan. For centuries, the village has remained isolated and well defended, in order to keep the porcelain production technology secret. Everywhere in Okawachiyama, you can find ceramic decorations, even on a bridge! The village of Okawachiyama is full of pottery workshops and their eye-catching storefronts. We had the chance to visit one of them, the Hataman Touen that continues to preserve the traditional production of Nabeshima pottery. 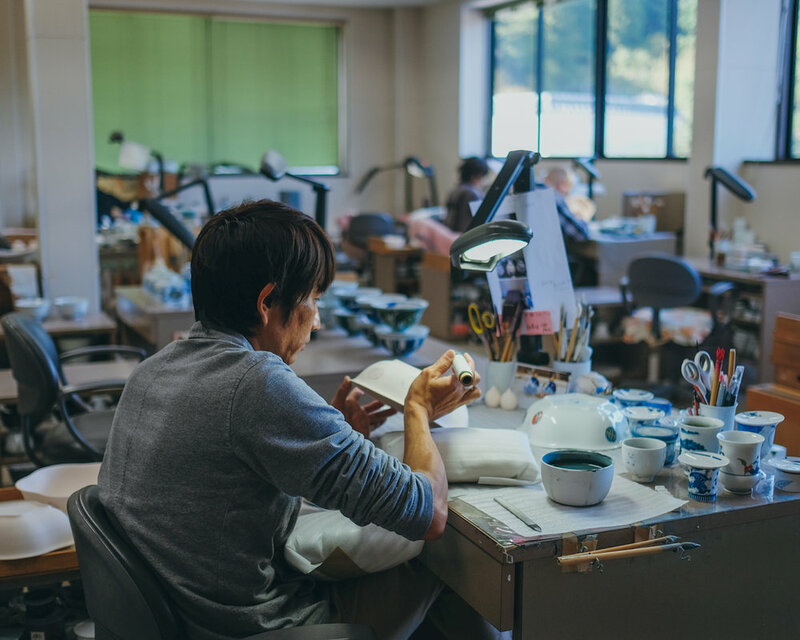 Watching craftsmen at work was a very rich experience that allowed me to dive into the beauty of ancient times, while admiring the creation of new forms, always in the spirit of Nabeshima. We kept on exploring more of nearby villages, specialized in pottery. Among them, the little town of Arita really stands out, thanks to Sueyama shrine. What makes this sanctuary exceptional is a torii gate made of white porcelain with a pattern of light blue foliage. Other porcelain details can be found all around the sanctuary too, like a guard dog, a large basin of water and lanterns. After such an intensive sightseeing and shooting, I could hardly imagine a better place to have a lunch, than Gallery Arita. This lovely restaurant turned out to be a perfect spot to enjoy the meal and continue an exchange around porcelain at the same time. Beyond all, I just loved its concept too. Already from the entrance, you can see a set of shelves entirely filled with porcelain cups, each is different and it's impossible to find two identical cups. The idea is that every customer can take a cup of their choice and get a hot drink directly at the counter. As for the meal itself, it was very tasty although it was even more the beauty of all the dishes used to serve it that caught my attention. The Takeo Onsen, built over 1000 years ago, was such a cool place to visit too. Part of this property still serves as a public bath, while its older parts have become a museum showcasing the mosaic Roman baths and tatami-covered rest areas that are no longer in use. The visit to the remarkable portal at the entrance to the hot springs area is something worth doing too. This splendid two-storey gate was designed by renowned architect Kingo Tatsuno, the same who in 1915 created the famous building of Marunouchi Station in Tokyo. The gate also hides a secret that was discovered during the renovations. The reliefs that represent four of the twelve signs of the Chinese zodiac are located there, making reference to the eight other signs that the architect has mischievously placed at the Marunouchi station. Our visit continued in the Takeo sanctuary, a particularly quiet and charming place. As a hug fan of Hayao Miyazaki I found my happiness there. The famous film maker found an inspiration for one of his best animations. 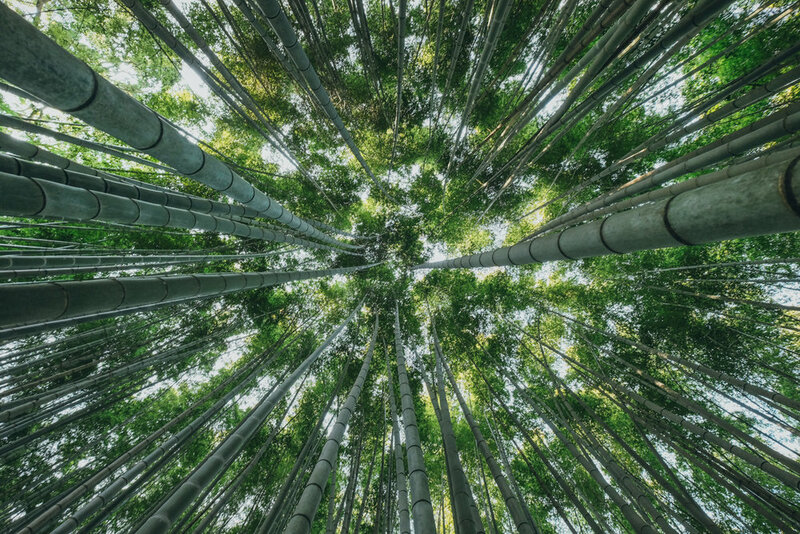 Walking through the bamboo woods, behind the main hall of the sanctuary, I found myself in an open space, from where I could admire one of the oldest trees in Japan. The majestic tree that is actually still alive for about 3000 years, is likely to have inspired Miyazaki's creation of the movie "My Neighbor Totoro". We continued our walk in the beautiful Mifuneyama garden, located near Takeo. Thanks to all the trees already flamboyant with splendid autumn colors and imposing Mount Mifume in the background, this garden seems to extend to infinity and amazes with its beauty. I can hardly imagine a better place to enjoy a cup of matcha and taste the Japanese sweets than the Haginoo Ochaya Tea House, located in the heart of this beautiful scenery. We spent the night at the Ureshino Onsen Warakuen, which happened to be my very first ryokan experience. We started with an exquisite and tasty dinner, during which regional dishes were accompanied by the atmosphere of conviviality. After the meal and finally in my room, I put on a yukata which was put at my disposal, and I went to enjoy the onsen, located in the ryokan. Plunging into a hot bath whose water comes from a natural source, was a huge pleasure. Especially that two basins are provided, insidoors and outdoors. It was a truly unforgettable experience. Back in my room, I was happy to see that my futon had been prepared and just before sleeping, I could enjoy even more green tea. The next morning was fully dedicated to an activity that I was probably most looking forward to. We were going to wear kimonos and visit the Yutoku shrine! In a small shop, just next to Yutoku Inari, we chose our kimonos and with the help of the manager of the store we put them on. 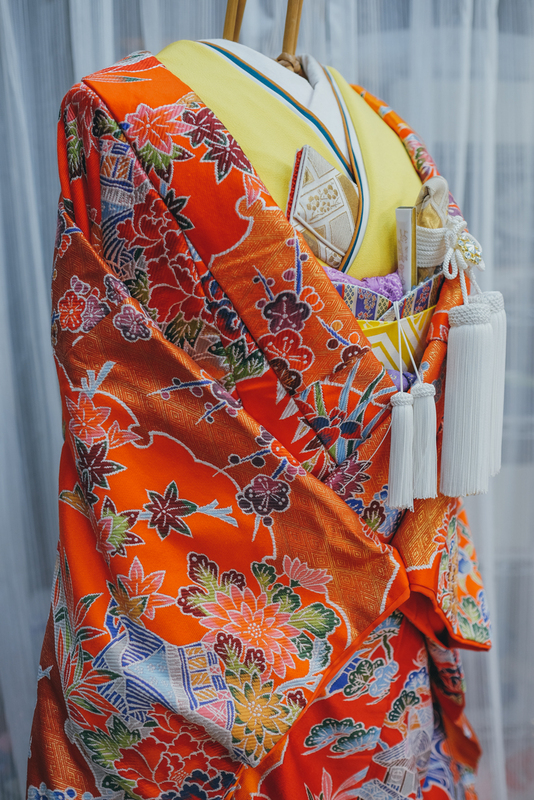 One has to know that it takes quite a lot of time to get dressed in a kimono and the whole dressing experience is just incomparable. Once ready, we went to the Yutoku Inari, which is one of the most famous shrines in Japan. Wearing a kimono in such beautiful surroundings was full of opportunities to take great pictures and enjoy the rest of our last day in Saga Prefecture. After leaving Saga Prefecture, my journey continued to one of my favorite places in Japan - Kyoto! Be sure to check next week's article full of incredible autumn colors that, as for me, are far above lovely sakura trees in spring.